The Pro Wheel Shaver XT2 is a C.N.C. 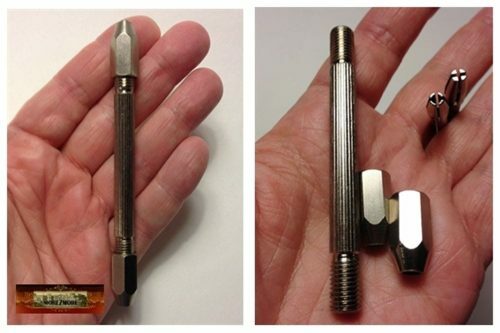 machined- hand powered mini-lathe designed for accurately rounding and sizing Pinewood Derby Car Racing Wheels. It features an adjustable blade that shaves the tread face while the wheel is rotated on a Pro Hub Tool for wheels that are perfectly round to the axle center. This is essential in creating the smoothest & fastest wheels. Creating a wheel which is perfectly round, and true to the wheel bore with-in thousandth’s of an inch. Truing the inside edge of the wheel by removing molding marks and excess material. Introducing the Pro-Wheel Shaver XT with Screw-adjustable Blade Depth! For more accuracy and ease of use, the Pro-Wheel Shaver XT is equipped with screw-adjustable blade depth! Just turn the knob to raise or lower the blade. In addition, an upgrade kit is available to convert the Pro-Wheel Shaver and the Pro-Wheel Shaver II to a Pro-Wheel Shaver XT. 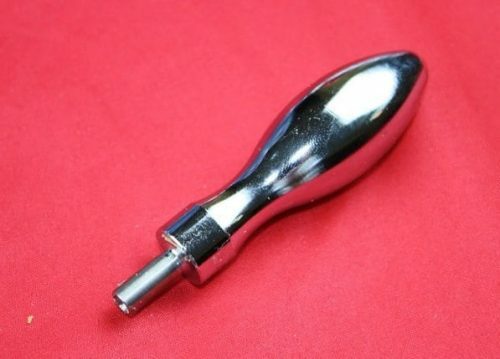 The Pro-Wheel Shavers are intended for use on wheels made of a hard plastic, such as those included in kits offered by BSA, PineCar, Royal Rangers, S&W, and Royal Ambassadors. The Pro-Wheel Shavers are not intended for use on wheels made of a softplastic, such as those offered by Awana and PinePro. A Pro-Hub Tool is required to use a Pro-Wheel Shaver. The Pro-Wheel Shaver II is similar to the Pro-Wheel Shaver, but is equipped with an improved blade holding system. The Pro-Wheel Shaver II is designed to create round and true wheels by removing tread material. It is intended for use on wheels made of a relatively hard plastic,such as those offered by BSA,PineCar,Royal Rangers,S&W,and Royal Ambassadors. Itis not intended for wheels made of a relatively soft plastic,such as those offered by Awana and PinePro. To use the Pro-Wheel Shaver II,a Pro Hub Tool (not included) and a 5/32″ Hex Key (shipped with the Pro-Wheel Shaver II) are required. Test fit each wheel on the Pro-Hub Tool. Follow the instructions with the Pro-Hub Tool to ream any undersized wheel bores. Royal Ranger and S&W Kits Only – Ream the wheel bores by hand with a 1/8″ drill bit. If your kit has narrow wheels (Royal Rangers,S&W,Royal Ambassadors,etc. ),skip to “TRUING THE TREAD SURFACE”. 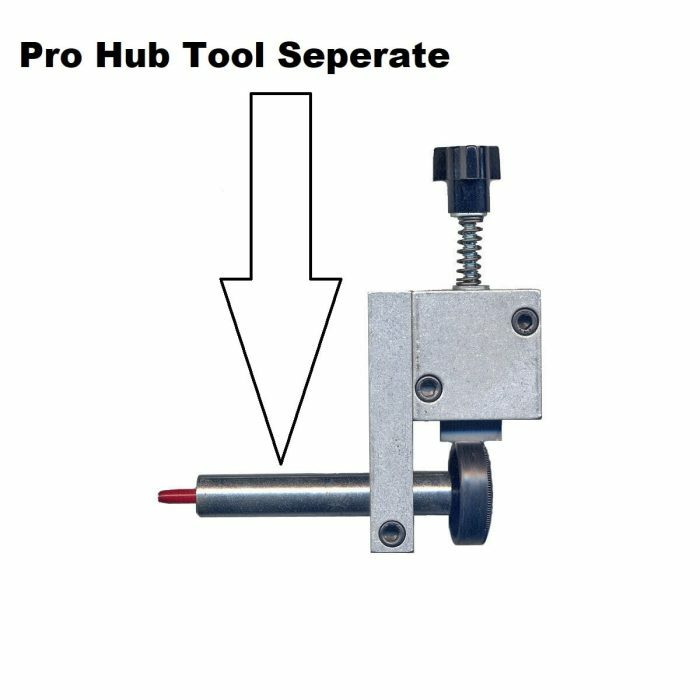 Slide the Pro-Wheel Shaver II onto the Pro-Hub Tool,until 1-3/16″ (critical measurement) of the Pro-Hub Tool is exposed (see Figure 1). 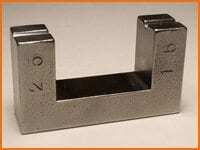 Use a 5/32″ Hex Key to firmly tighten the Pro-Wheel Shaver II to the Pro-Hub Tool. 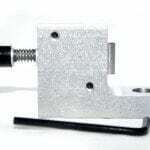 Loosen the screw holding the cutting blade,and slide the blade towards the Pro-Hub Tool as far as possible. Tighten the cutting blade. Mount a wheel with the inside wheel hub facing the Pro-Hub Tool. While pressing the wheel against the blade,rotate the wheel five complete revolutions counterclockwise. Remove the wheel,and repeat steps 6 and 7 for the remaining three wheels. Slide the Pro-Wheel Shaver II onto the Pro-Hub Tool,until 5/8″ of the Pro-Hub Tool is exposed (see Figure 1). 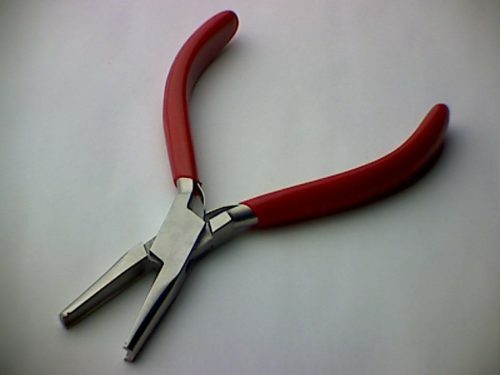 Use a 5/32″ Hex Key to firmly tighten the Pro-Wheel Shaver II to the Pro-Hub Tool. Loosen the screw holding the cutting blade. Royal Ranger and S&W kit wheels only – Slide a short piece of 1/8″ brass tubing over the pin or the Pro-Hub Tool. Slide a wheel onto the Pro-Hub Tool. Rotate the wheel and move the blade to identify the highest spot on the wheel. Rotate the wheel 1/8 to 1/4 of a turn and press the blade against the wheel. While holding the blade firmly against the wheel,tighten the blade. Press the blade against the wheel; do not press the wheel against the blade. Turn the wheel counterclockwise and make five complete wheel rotations. Slightly loosen the screw connecting the Pro-Wheel Shaver II to the Pro-Hub Tool. Pull the wheel off of the Pro-Hub Tool and slide the next wheel onto the Pro-Hub. Repeat steps 16 to 17 for the remaining wheels. Repeat the previous two sections until the wheels no longer have low and high spots. For the final pass,continue turning until all possible material is removed. Use a Pro-Wheel Mandrel and wet/dry 600 grit sandpaper to polish the wheels. Additional polishing may be performed if desired. Apply a protective spray coating such as WD-40 or equivalent and store the tool in a plastic bag. The Pro-Wheel Shaver II is a hand-powered lathe. It removes tread material such that the resulting wheel is round. With a little practice,wheels can be machined to within 1 thousandths of an inch (0.001). Check your local rules to make sure that lathed wheels are allowed in your race. The Pro-Wheel Shaver II is intended for adult use,as it requires adult hand strength to loosen and tighten the adjustment bolts and to turn the wheels. Although the blade does not have a knife-like edge,use care to minimize the risk of an injury. If the blade ceases to shave the wheel,the cutting edge can be restored with a fine honing stone or a fine-toothed file. Fine cross-cuts may be created on the wheel tread surface which cannot be completely removed by polishing. These cuts should not affect the performance of the wheel. The Pro Wheel Shaver is one of the easiest, most efficient and cost effective ways to create perfectly round wheels from a molded standard wheel. Not all wheels are created equally, but with a Pro Wheel Shaver, they can be made Hi-Performance. Out of round wheels cause improper alignment at speed. This is something that is greatly misunderstood, but a car can assemble great and roll perfect on a test table but things happen at speed on the track. As a out of round wheel travels down the track and gains speed the axle will raise and drop which will cause the car pull to one side or oscillate depending on how bad or how many wheels are out of round. A fast car will be straight and VERY QUIET, noise is friction. By adding the Pro Wheel Shaver to the Pro Hub Tool a builder can shave the high spots off of molded wheels until they are completely round to the centerline of the hub, this removes all radial run-out to help make a more perfect wheel. The inside edge of a molded wheel in usually not straight. The most perfect aligned cars will still touch the center strip on the track 1 or 2 times on the way down and inside edge of the wheel will effect what happens when this contact is made. If the inner edge is not true, when contact is made it will cause the car to kickback, this will usually cause a radical deflection in the direction of the car. By using the Pro Wheel Shaver, a builder can true the inner edge of the wheel as well to lessen the effects of this contact. One good kick from guide strip contact can ruin the best of runs. Our testing has found that most anyone can easily make wheels that are with-in .001” diameter of each other. Tip: When using the Pro Wheel Shaver, is may take several adjustments to get all of the wheels round and the same size. When changing wheels, leave the blade at your setting and loosen the tool base at the Pro Hub Tool, rock it back to clear the blade and replace the wheel with the next one. This will allow you to get all wheels the same diameter on the finish cut. Also cut until you get all of the material possible removed, the final cuts will be very light, fuzzy plastic shavings; this will give a great finish.